Remove all packaging. Sprinkle each naan with a little water. 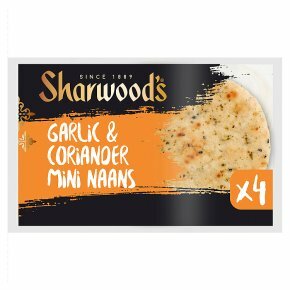 Place naans under a pre-heated medium grill for 2 minutes, turning once. Pre-heat your oven to approximately 180°C/ 350°F/ Gas Mark 4. Remove all packaging. Sprinkle each naan with a little water. Place on a baking tray in the centre of the oven and cook for 3-4 minutes.